I try to schedule at least one field trip during our weeks off. While we take field trips throughout the year, the trips I schedule on our weeks off tend to be longer, more intense outings. For instance, this week is our week off and I took my children for a comprehensive tour of the Edmonton Waste Management Centre. It was an epic trip. Plus, it was a long drive both ways, so this kind of trip couldn’t have taken place on a regular homeschool day. We do a lot of extra baking and cooking activities during our week off. I like to build up our stockpile of muffins, breads, and cookies. This way, when we return back to homeschool, we have an ample supply of snacks to enjoy! I use the week off to plan for the following 6 weeks of homeschooling. I usually do all my planning in one day (I love arranging a homeschool planning retreat to get all that work done)! I gather my supplies and my handy homeschool planner and schedule six weeks of schooling. I make lists of supplies to gather and purchase, and also compile a library book list. I love taking nature walks with my children. If we plan hikes for when we have time off from homeschool, we don’t need to be as time-conscious. We can literally get lost for as long as we like (or as long as our bladders will allow *wink*). Time off from homeschool also means extra-special visits with friends and family. We can stay up later and visit for a longer period time. At the beginning of every homeschool year, I choose a few books that I want to read. These books often revolve around homeschool pedagogy, curriculum, or encouragement. During our week off from school, I spend a lot of time reading these homeschool books. It nourishes my mind and gives me plenty of fresh inspiration. Our week off from homeschool is a fabulous time to catch up on all those cleaning and organizing projects around the house. 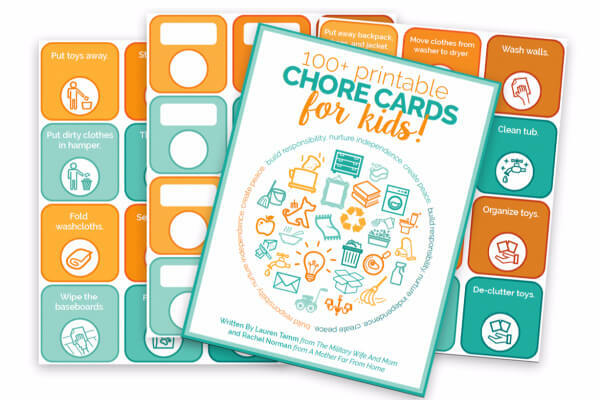 I involve the children by letting them choose tasks from this chore card set. We do some deep cleaning as well as some basic household maintenance. 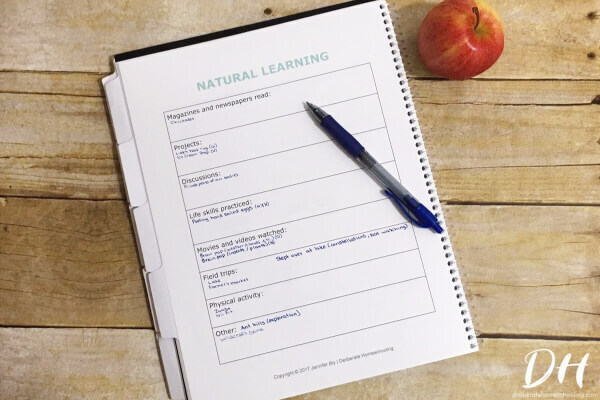 It’s an awesome feeling to return to our homeschool schedule with a clean and organized home. Of course, there are loads of other activities we do during our time off. We make sure to get in ample rest and relaxation time, as well as schedule dental, eye, and hair appointments. As you can see, our six week on and one week off schedule gives us plenty of time to study, rest, and play. Do you use a year-round schedule? What do you like to do with your time off from homeschool?